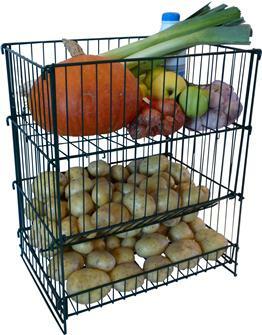 Vegetable storage rack, for storing potatoes and other vegetables. Potato storer. 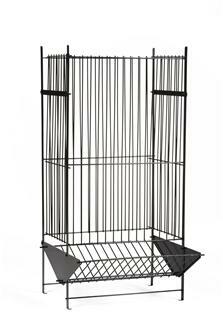 Well ventilated for preserving up to 100 kg of potatoes throughout the year. 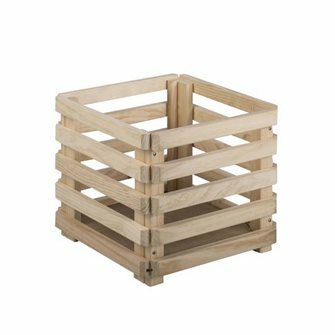 Stackable crate with a blackboard. 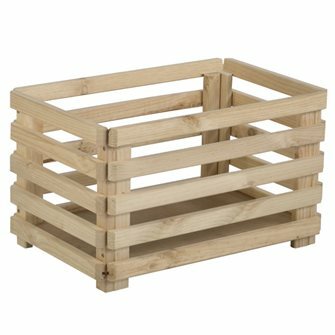 Potato and vegetable storehouse 50 kg. 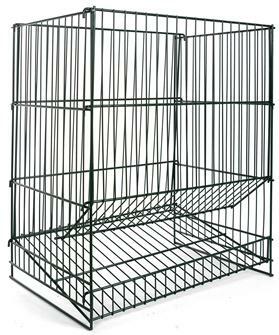 75 kg potato storage cage, for storing your potatoes in a minimum amount of space. 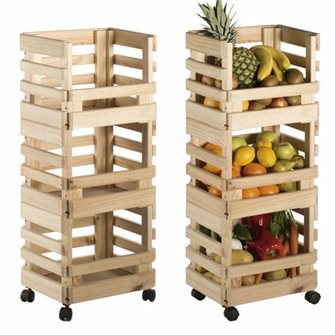 Fruit and vegetable rack with 3 stackable crates in solid pine wood (4 wheels included). 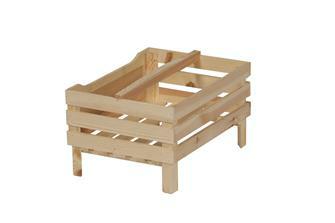 Case in solid pine wood 58 cm, PEFC label and unvarnished. Case in solid pine wood 38 cm, PEFC label and unvarnished.